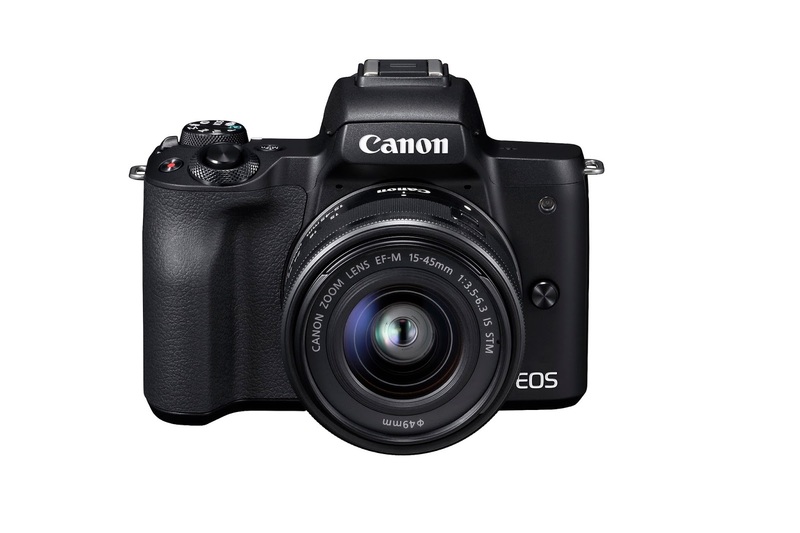 Canon India, announced the launch of Canon EOS M50, its newest mirrorless camera which creates still and video content, which will prove to be an insant attraction on social media. The EOS M50 is powered by the new DIGIC 8 image processor for outstanding image quality. Equipped with 4K movie shooting ability and an improved dual pixel CMOS AF, the EOS M50 is primed for shooting ultra-high definition movies and comes with excellent precision focusing even under low light conditions. With the touch & drag AF, users are also able to select and move the AF frame via the touch panel while looking through the built-in 2.36 million dot electronic viewfinder (EVF); enabling the capture of event the most ephemeral moments and their transformation into lasting memories. Canon’s EOS M50 makes for a perfect device for today’s expanding Insta generation. This lightweight, highly portable camera with interchangeable lens is touted as the most suitable device for a generation that prefers and enjoys telling their stories on social media platforms through their pictures and videos. With the normal ISO speed of 25,600 and expandable to 51,200, users can achieve clear shots with minimum noise for photos even in low light conditions. The EOS M50’s improved Dual Pixel CMOS AF covers a larger AF area with up to 143 AF points2(covering 88% horizontal by 100% vertical area) when a compatible lens is attached, offering high speed AF and impeccable precision over a wider area. The larger AF area also means achieving fast, accurate and smooth AF is possible even when capturing moving subjects. 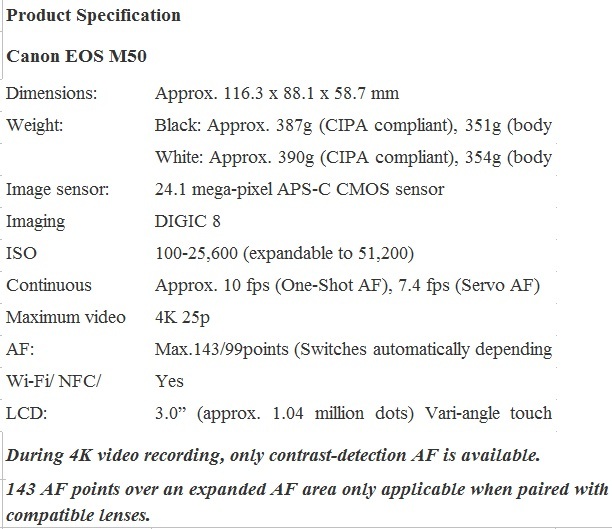 EOS M50 is available with a single kit option, the EF-M15-45mm f/3.5-6.3 IS STM lens.